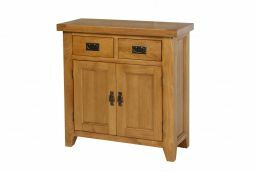 Small Country Oak Sideboard 80cm - Top selling petite size. 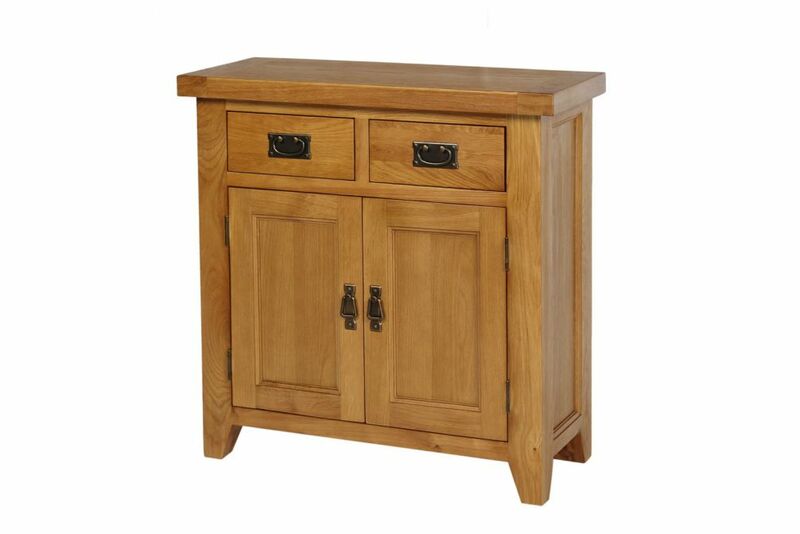 A new smaller petite version of the very popular Country Oak range of sideboards and cabinets that we offer. Fully assembled ready to use. 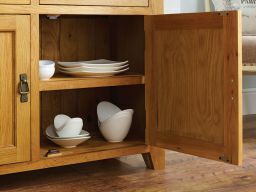 Perfect for creating some additional storage space in a small space with a shelf inside. A great looking design that can be the focal point of a room. Some customers use these as hall tables or console type tables. 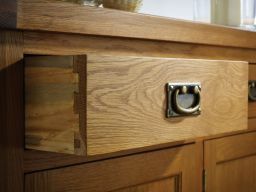 Dovetail joints on the drawers give this small oak sideboard design extra strength. All drawers have dovetail joints. 100% solid real wood drawers and backs. No ply. Supplied fully assembled and ready to use. Our lowest ever price to ensure that we are the most competitive in the UK. 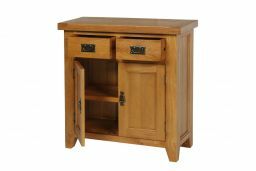 Really well msde addition to our growing family of oak furniture. Delivery was spot on, bang on time. Im very pleased with everything. Needed a small cupboard for a bedroom with limited space and this fitted the bill perfectly. This is a well made lovely piece of furniture that looks very smart. the shelves inside are an ideal size for folded jumpers and for a small cupboard there is a lot of space. Delighted with this purchase and would definitely use Top Furniture again. great product, and excellent service. 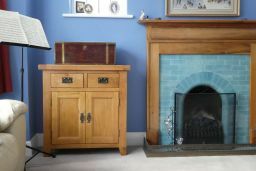 An excellent match and a perfect addition to our already beautiful oak furniture The sideboard is excellent quality. A very well put together item. We purchased after seeing a slightly larger unit in the same range at my mother in laws. Timber is finished to a very high standard and looks and feels excellent. Price is very reasonable, especially as postage is included. Unit is 100% oak and solid with no flimsy panels. Perfect little side board. Fits nicely in my lounge. Delivered as expected and no faults. Excellent service all round. Excellent solid piece of furniture. Top quality and great colour. Delivery was on timwe and professional. Would highly recommend this company and will be buying from them in the future. Very happy customer. My furniture arrived today and I am very happy with it . Looks very sturdy and well made . Delivery was excellent arrived within one week of ordering. 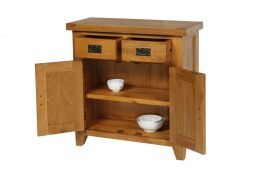 Price was good in comparison to the oak furniture outlets I had looked at locally . Very pleased with my purchase fits just write look good. Delivered in the time slot and on the day they said. I am really pleased with my 2 sideboards. Beautifully made and a lovely colour. Very good price. Just what I was looking for. Fantastic quality great price fantastic service ordered more furniture as I was so pleased with it. Very pleased with items I ordered from you. They are looking good in my new home. Excellent. Exactly as described and what I wanted. Easily picked out to match an existing unit we have via their site. Delivered when promised with a quick call before hand. Boxed and well protected so no harm could come to it. Lovely small cabinet that matches the larger dresser unit we bought previously. Excellent quality, solid item and excellent customer service. Very happy. absolutely brilliant piece of furniture. solid, well made and arrived in perfect condition. All the measurements given on the website were very accurate, therefore the sideboard fits perfectly. When the order arrived it came very well packed and protected. (There was no damage.) I am very happy with the product and would order from here again. Really pleased with my petite sideboard! Excellent communication to organise delivery and it came exactly on time. Would use this company again. I have recently taken purchase of the petite small sideboard. I am extremely pleased with my purchase. Beautiful furniture, which was delivered as arranged. I would highly recommend Top Furniture. Looks amazing in the alcove, perfect fit. Very sturdy and well made, brilliant purchase very happy customer. Am always wary of ordering anything ‘unseen’ but I am thrilled with this sideboard; good quality heavy wood, perfect colour matches my other furniture and looks stunning in my dining room. Delivery excellent too. Thank you! Excellent quality!!! Excellent packaging!!! Excellent value!!! Excellent delivery!!! It is hard to find a business that delivers what it claims this one does and I heartily recommend them!!! Lovely piece of furniture,made to a high quality,and delivered on time. I am really pleased with my new oak sideboard. It looks great and is very good quality. The service was excellent. I was contacted direct to arrange delivery and the sideboard arrived within 2 weeks. I received a call on the day of delivery from the driver to confirm the delivery time which I found really helpful. Well packaged, and timeously delivered. Beautiful quality and very well made. Just received this petite sideboard today, and I absolutely love it. I feel it is always a little risky buying furniture without actually seeing it, but no problem here. It has really surpassed my expectation. Very well made and good value for money. Once again Top Furniture have been a pleasure to deal with. From the customer services right through to the men who delivered it. I would not hesitate in recommending this firm and will definitely buy from them again in the future. Lovely product. Well made. Bought as an alternative to a small bookcase to go with some existing oak furniture in a bedroom. Looks great. Delivered on time on the scheduled delivery day. The only gripe is that payment was taken immediately and then we had to wait 3 weeks for delivery. Love this small sideboard, love the colour of the wood and very solid. I got it for my hall and it looks fab, fits perfectly with my decor. We are really very pleased with our sideboard. The quality is fantastic at a very reasonable price. 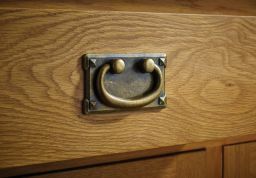 Perhaps more importantly Top Furniture are a great firm to deal with, friendly on the phone and quick delivery. Thanks. We are delighted with our purchase and the excellent customer service provided. The quality of the furniture is excellent and exceeded our expectations, followed by the great service provided by the delivery team. No hesitation in recommending to others. A beatiful little unit, the perfect size for my alcove! It has an atttractive, warm colour and is well made. Very pleased with this sideboard , well made and good value for money . I had looked at similar products and was nervous buying on line but would deal with this Company in the future. 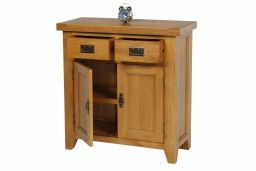 Visited various website looking for a small oak sideboard for my hall way, after reading the excellent feedbacks at top furniture, we choose to purchase the petite oak sideboard. this was delivered very quickly and we are extremely please with the sideboard. This product is ideal for the space it is going to live in. Well made and a solid piece of furniture. Received this little sideboard today with another two items and I am thrilled. It is so well made and just perfect for what we needed. This is our 3rd delivery from Top furniture very impressed with quality and delivery. 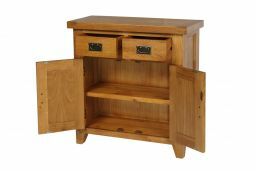 Lovely solid piece of furniture.good quality good price. Good natural look, nicely waxed and solid feel. Would prefer wooden knobs but other than that these fit the bill. i love this item i was concerned when i ordered because of the price!!! fantastic tho! 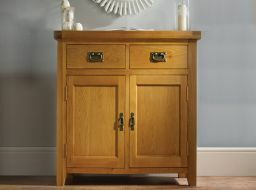 We are delighted with the oak sideboard. Its a well built quality product blending well with existing furniture. Its also good value compaired to other retailers. Very pleased with this sideboard it is just what we were looking for. Very pleased with the sideboard, excellent quality, real wood, not laminate. Good value for money. Good quality, solid dresser as described on web site.